SEO Circle is known for pay per click marketing in Mumbai. Pay per click is an advertising model for internet that diverts the traffic to websites. Also known as cost per click, advertisers pay the website owners when the advertisement is clicked by the user. The pay per click or PPC advertisement is an ad that is shown on search engines’ results and web sites on a charge. These have related content to the websites that allow them to be shown. There are two models of PPC advertising that is flat-rate PPC and bid-based PPC. The pay per click marketing or PPC is the fastest way to make your website to the higher ranks in the search engine results. When users look for the websites to know about you, you go higher in rank and because it is paid per click, money can be spent on the campaign. Our professionals have methods and tools that can manage the whole marketing campaigns. Pay per click marketing in Mumbai can help any kind of businesses. Industries of any field can get the advantages from pay per click advertising. The best option to get the visibility in the search engine results is through PPC advertising. It is a great way to attain search engine visibility if you are new in the business and starting a new website for it. Our team of experts helps you by giving the effective service in pay per click marketing in Mumbai. We build strategies for you according to your requirement. We plan and even manage the pay per click advertisements to make your web site rank high in the search engine results page. It is the option for you to choose regarding where the targeted traffic will be sent. 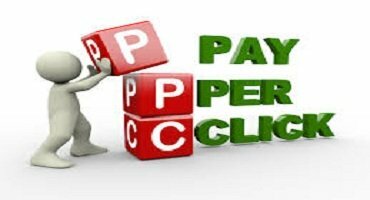 Pay per click marketing in Mumbai also helps organic traffic as users will start the ads on the website after they start recognizing the brand by seeing the ads frequently. The pay per click is the best method to calculate the interest of the users toward the web page. Hence, PPC is the best way to gain what the websites seek the most..